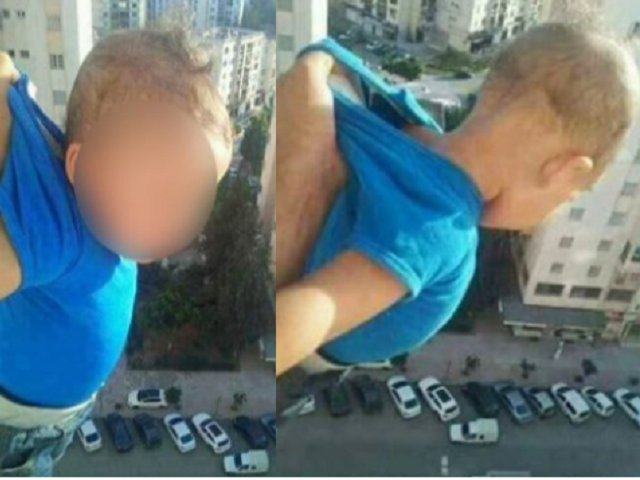 A court in Algeria sentenced a man to two years in prison after he posted a photo where he dangled a baby from a high-rise balcony. He threatened to drop the toddler from the 15th story balcony if he didn’t receive 1,000 Facebook likes. “1,000 likes or I will drop him,” the photo caption on Facebook read. Readers quickly reported the incident and police arrested the man whose identity has not been revealed and charged him with child endangerment, the BBC reported. The now-convicted man denied the charges and said the photos had been altered by social media users. A relative of the child testified that there were protective barriers in place and they were removed from the photo. The judge did not believe the family members and said he believed the child’s life was in danger. He found the man guilty and sentenced him to two years in prison.